Microsoft recently released much awaited operating system Windows 8 through World wide. 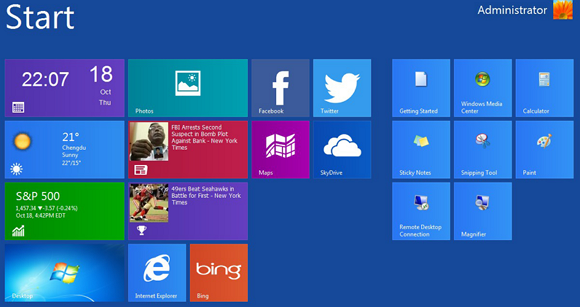 Windows 8 gets major updates from previous windows versions as specially designed Metro user interface. Windows 8 Metro UI displays useful information such as weather, calendar, news, stocks, and frequently used programs. Do you want to test Windows 8 Metro UI on old windows version systems ? IObit introduced new freeware called WinMetro that brings Windows 8 Metro UI to Windows 7, Vista and XP PCs. WinMetro turns your desktop into an informative and productive work station. WinMetro supports all Windows 7 (all editions), Vista (all editions) and XP SP2/SP3 computers. And requires 15 MB free disk space to run.